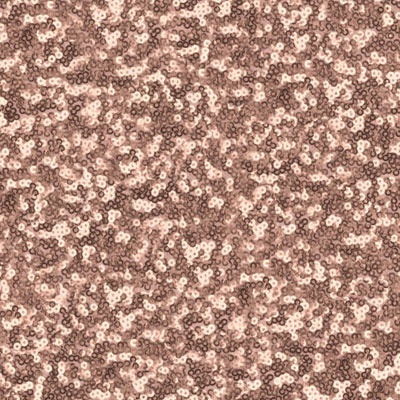 It’s sequin season and we are so ready for lots of shimmery creations, but we know that they can be a bit daunting when you haven’t worked with them before. Don’t worry, we always have your back here at Sewisfaction and to ensure you that you get yourself prepped for the party season, our ever popular kits are back – this time with a sparkly twist. 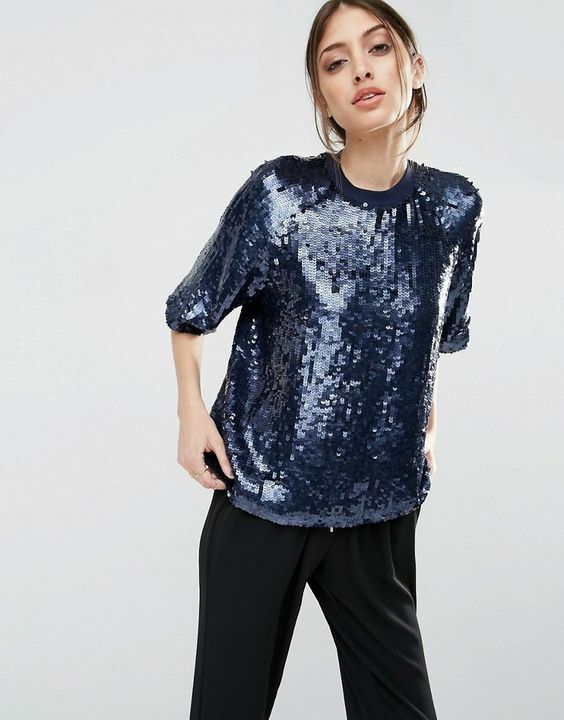 The sequin top is a must have in your wardrobe, not only for the Festive season, this top is also perfect for both festival and wedding season too – it’s all in the styling. It’s all about tights and sky high heels for formal occasions or add jeans, trainers and a parker for an off-duty chic look. So now hopefully we’ve got you inspired? 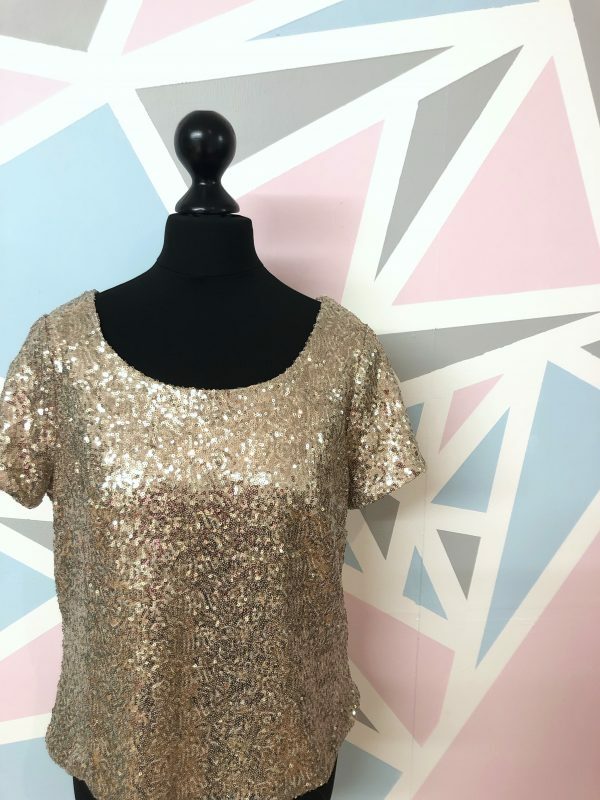 You’ve got your pattern and the perfect fabric, next up, our top tips for sewing sequin success. 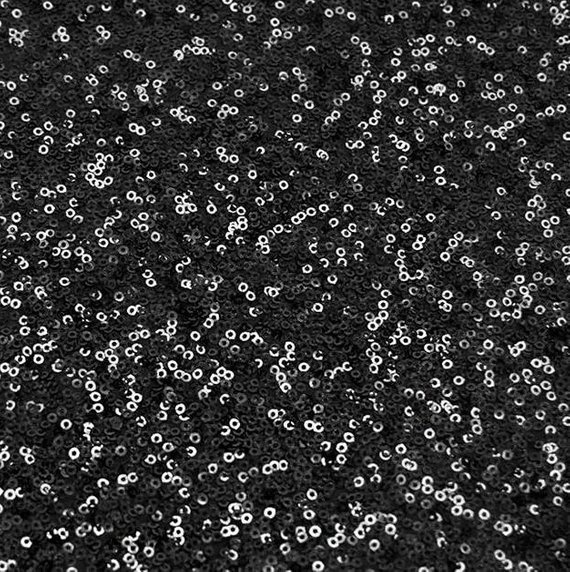 Don’t prewash your sequin fabric! You will want to prewash any lining fabric, as it will shrink a little on its first wash. You’ll need to handwash your sequin top when finished to keep it looking fabulous. You will find it easier to work with the fabric wrong sides together when cutting out, so the sequins are facing out and can’t get caught on each other. Using a rotary cutter and mat is the quickest and easiest way to cut sequins, as you can then change the blade afterwards. However, don’t fear you can still cut with pins and scissors if you don’t have a rotary cutter, but we would recommend you don’t use your best fabric scissors, as sequins can dull the blade – ordinary scissors will be just fine. Sequins can have a tendency to leave little bits everywhere so we recommend cutting out somewhere you can clear up easily! And maybe wear glasses to avoid any rogue bits pinging up at you – sounds extreme but it’s better to be safe than sorry! When sewing with sequins, use a fresh, sharp needle – we’ve included a new full pack in your kit as you might find you need to use a couple. A medium weight needle is ideal (80 or 90). Sew your seams as normal and then trim off as many of the sequins from your seam allowance as possible, this will stop them catching the lining fabric. 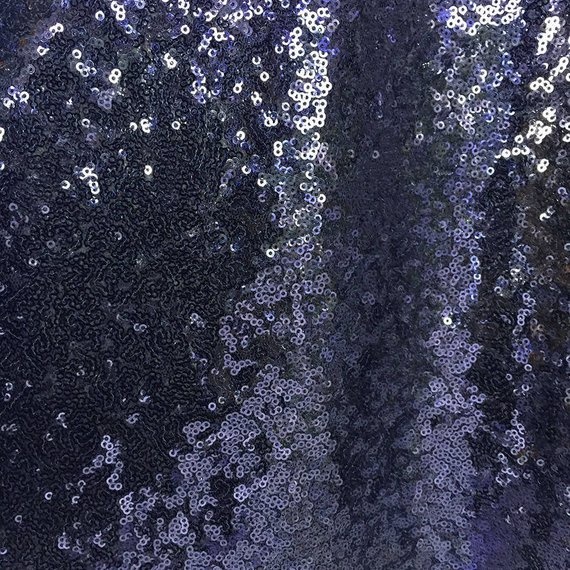 If you want to you could actually trim off your sequins from your seam allowance before sewing – just sew a line of basting stitches (the longest stitch on your machine) in a contrasting thread, and trim off any sequins that fall in the seam allowance. Check your seams from the right side, you will have some sequins that are half caught in the seam allowance, this is fine. 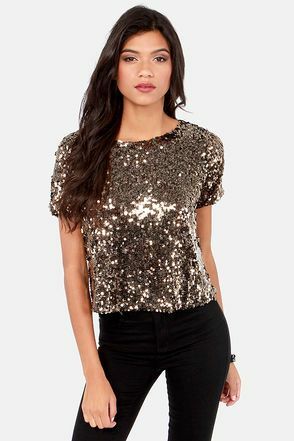 Either trim them off or if possible use an unpicker to pull the full sequin through to the right side. Pressing your seams – either finger press your seams open and don’t use an iron at all, or if you really feel an iron is needed ensure you use a low heat, iron from the reverse side and use a pressing cloth (or tea towel!) between your fabric and iron. And there you have it, all the tips and tricks that you’ll need to add a little sparkle to your tee. Our kits are available right now, so head here quickly, because once they’re gone, they’re gone.